Why Are We Weaving? We are exploring various weaving techniques to better understand how different fibers are created and to explore how we can use different techniques to aide us in combining textures, shapes, patterns, and colors to create personal expressions. 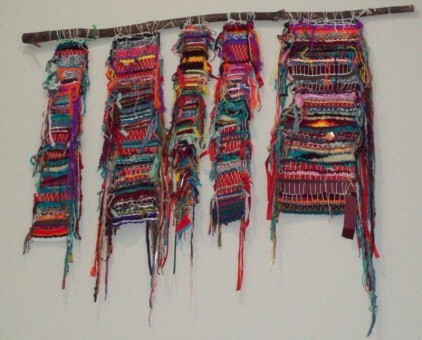 Goals of the Assignment: Students will create a sampler of various techniques and materials to explore various weaving techniques. Students will choose the techniques and materials to incorporate into their own weaving. The final weaving will demonstrate a comprehension of weaving techniques and showcase an understanding of balance while maintaining variety and interest for the viewers.